The NPD Group just sent us a list of the top 10 video games, ranked by the number of sales, for the month of January. 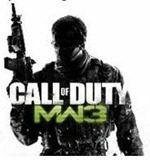 It’s not a big surprise that “Call of Duty, Modern Warfare 3”, remains on top. “Just Dance 3” and “Elder Scrolls” maintained their previous 2nd and 3rd place rankings. “NBA 2K” rose from 8th place to 4th this month. “Mario Kart 7” fell from 4th to 7th. “Assassin’s Creed: Revelations” dropped out of the top 10. As did “Batman: Arkham City” and “Super Mario 3D Land”. “Saints Row: TheThird”, “Zumba Fitness 2: Party Yourself”, and “Skylanders: Spyro’s Adventure”, moved into the top 10. There was some bad news in the sales reports. January, 2012, gaming related sales fell 34% when compared to January, 2011, numbers. Part of that was the lack of anything new on the market in this January, but still, the drop was more than most analysts predicted. xBox remained the top selling game console last month. That’s the sixth consecutive month its topped the list.